Hey, all. I've been meaning to post something since Saturday, but it hasn't happened. I should be peeling apples, but let's do this quick first! Thank you to all who came by for the Garage Sale last weekend! Very good to see some of you again. Made me miss the stamping events of the past! Goal: see if we can get back to them! You all got some good buys, I moved a few things out. Not nearly enough, so let's plan on doing this again in the Spring! I'll get a date out soon, but shooting for late April, after Taxes are done! My room is a disaster and I need to do some repacking of stuff. I hope to make that happen soon so I can get back to creating. Life is crazy as always! One of my "part time jobs" is going away, and we have just the usual trips for us on the agenda, for K-State Football and Basketball, no extras or work ones so wish me luck!! I will be back to Hostess codes with October and here is a peak of something new coming your way! 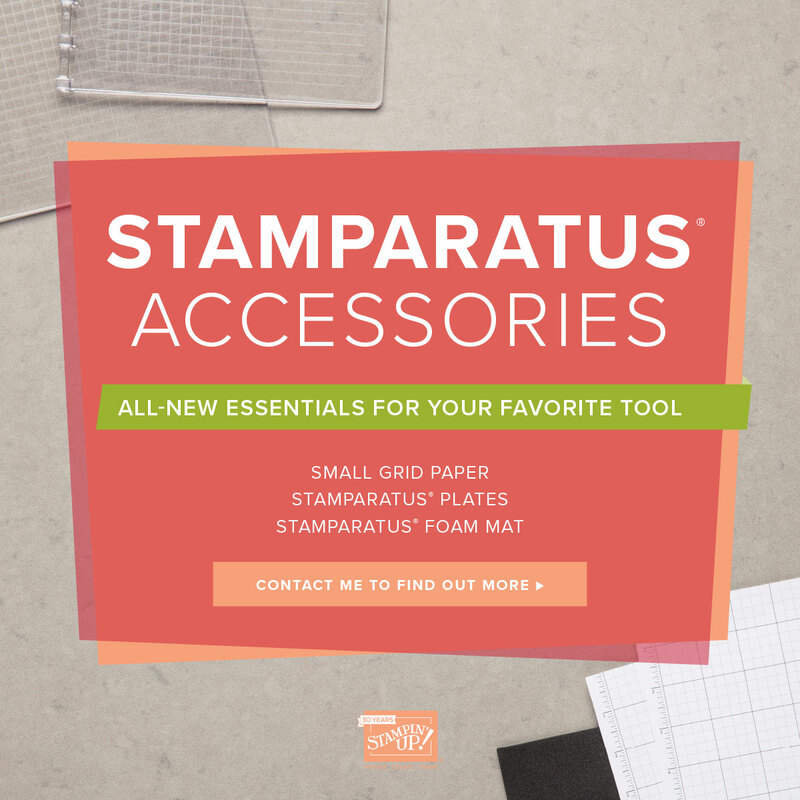 Available October 1: Extra plates (set of 2), a Foam Mat for Photopolymer stamps, Magnets and Grid Paper sized JUST for the Stamparatus! Thanks all for sticking with me!! Contact me if any questions! !